IAVP CONGRATULATES TO DR J.L. 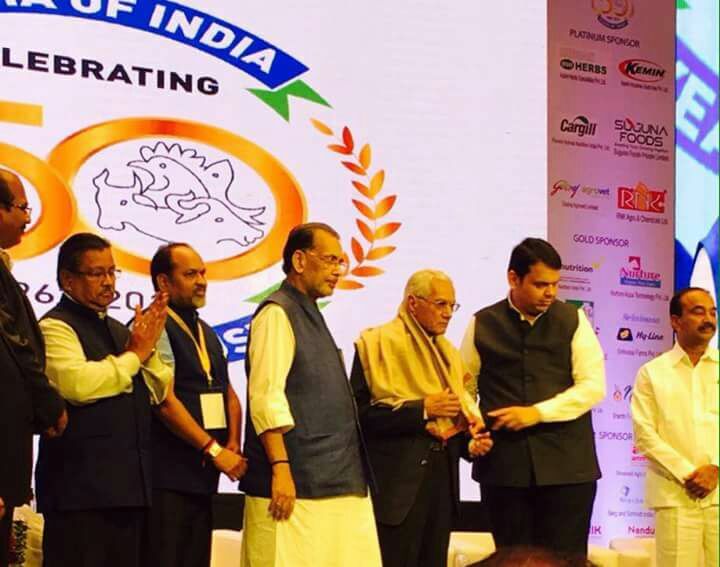 VEGAD FORMER PRESIDENT, IAVP FOR CLFMA OF INDIA LIFETIME ACHIEVEMENT AWARD BY AGRICULTURE MINISTER OF INDIA AND CHIEF MINISTER OF MAHARASHTRA. Eminent Veterinary Pathologist and former President of IAVP, Prof. J.L. Vegad was honoured with Composite Livestock Feed Manufacturer Association or “CLFMA- Lifetime Achievement Award" for his immense contributions to the poultry industry through authoring two books on poultry diseases, several monographs, lectures throughout the country on poultry diseases, useful field observations on LaSota vaccination and drift variants of low pathogenic avian influenza virus published in the World's Poultry Science Journal. These observations helped poultry farmers in reducing economic losses. The prestigious award was given to Dr J.L. 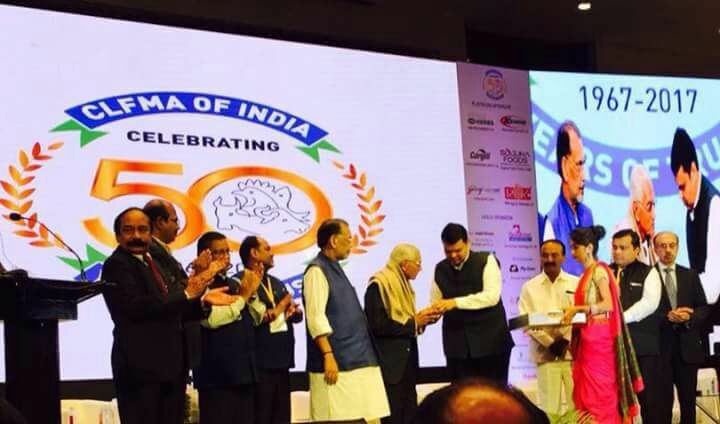 Vegad, jointly by the Union Agriculture and Farmers Welfare Minister, Government of India, Mr Radha Mohan Singh and Chief Minister of Maharashtra, Shri Devendra Fadnavis on occasion of 50 Years of CLFMA of India. The award function was held in huge hall at JW Marriot Hotel in Mumbai on 15th September. About 500 people were present in the audience including some delegates from abroad. The award ceremony followed by technical seminar on 16th September, 2017. Earlier, Dr Vegad received ICAR-Rafi Ahmed Kidwai Memorial Award for basic research and now he is awarded CLFMA Award for his field contributions to the poultry farmers. On this occasion Dr Vegad said- “I am deeply satisfied that my veterinary knowledge is useful to our people”. A teaming number of his colleagues, admirers and students congratulated Prof. Vegd for this great achievement on social media particularly on IAVP What’s App group.